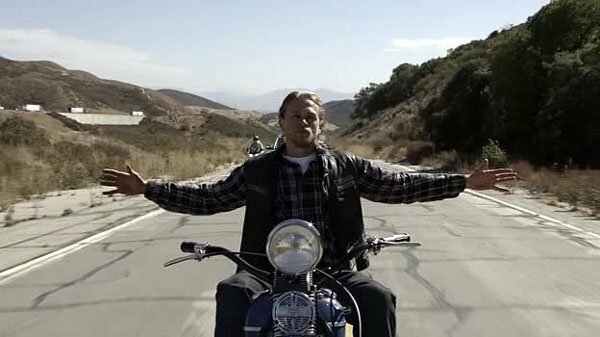 Over the course of seven years with SAMCRO, Jax Teller has attempted to go legitimate, to get out of the game started by J.T. and exacerbated by people like Clay Morrow. There have been glimmers of hope, instances in which he believed he could do it, but in the end, he realizes that it’s not possible. “I’m not a good man,” he says, telling us what’s been on his mind for a while now as he watches his kids leave for the last time. In the end, he realizes that in order for his remaining family to have any semblance of hope for a future, that future must not include him. So, he burns all his old pictures and documents, he ties up all his loose ends–Charles Barosky, August Marks, Brendan Roarke–and he says his goodbyes to the people he cares about. He started to get his affairs in order last week, but whereas “Red Rose” was built more as a climax of sorts, this week is the fallout, the inevitable conclusion to the tragedy of Jax Teller. There’s a pervasive tranquility to his demeanor in “Papa’s Goods”, a calmness that manifests in the smile we see on his face at the end. He knows that this is the only thing he can do, and he knows that this is the best thing to do for his club and for his family. So, what we see in the series finale is essentially a long goodbye to and tour of the show, and while it’s certainly dull in some places, it finds poignancy in various moments: Jax visiting Opie’s grave, Jax’s last conversation with Nero, Jax’s last meeting with the club. The moments aren’t quite as emotionally resonant as Sutter wants them to be, but he does effectively set up a contrast between the joy of patching T.O. into the club and the sadness of the Mayhem vote by the club. Predictably, the show chooses not to have Jax die at Chibs’s hands, but predictable is almost a relief in a show that loves its outlandish twists and brutal violence. Of course, after Jax talks to JT–he aptly states that “A good father and good outlaw can’t settle inside the same man”–he starts riding off into the distance, and here’s where my biggest gripes with the episode lie. First of all, the production of the scene itself is legitimately awful–Sutter probably spent too much time picking the montage song to focus on anything else–and second of all, the scene reads as a high school film class project. We get heavy-handed symbolism that Sutter is definitely patting himself on the back for, and it’s absolutely unnecessary. Yes, I understand that the homeless woman represents the Reaper and that the show is trying to throw in a bunch of religious imagery and that the show is trying to parallel the deaths of Jax and J.T., but jeez, this is not how you go about it. It is just a laughingly terrible scene, what with the police cars going at not-a-police-chase speed and with Jax literally spreading his arms because, ya know, Jesus. Then, we see some crows eating bread as Jax’s blood enters the frame, and we scream, “WE GET IT!!! !” The ultimate insult is when we cut to a Hamlet quote as if this is high class entertainment, as if the show didn’t stray from Shakespeare after season one, as if this show was all about Hamlet. It’s a sour ending to what is a serviceable finale. -Vic Mackey must have let that day job affect him quite a bit, as he has the reaction time of a 95-year old man at the end there. -I’m sure Chibs and Tig will do a great job. -The final song is called “Come Join the Murder”, written by Kurt Sutter. Thankfully, it wasn’t sung by Katey Sagal. These montages are definitely what I will miss the least. -Nice to see Tig and Venus together at the end. -One more round of applause for Jimmy Smits. He’s consistently been the best part of the show for a while now. Also, Nero was proof that you could get out of this life. -That’s it for me. This show should’ve ended a while back, and I think its major flaw these last few years was letting Sutter do whatever he pleases. I’m glad FX isn’t Showtime–which loves to intrude upon all its shows and make decisions for the creative teams–but this is a showrunner who needs reining in. When he is reined in–like he was on The Shield–he can be a truly terrific writer. -Favorite season? Season two. That was truly great. I stopped watching SoA after I read spoiler comments from people regarding Tara’s brutal death. I just could not stomach ‘the b*itch got what she deserved’ misogyny from men and some women. Sometimes I found the show tried to be far more clever than it was( to paraphrase Spinal Tap “There is a thin line between stupid and clever.”) and the over the top violence was a bit much at times for me. From your review it seems that Jax got his cliched end. Thanks for your review it makes me glad that I stopped watching the show. As always SoA is polarising. I liked it, it wrapped everything up nicely, but everyone knew the club wouldn’t kill Jax, and once I saw he was riding J.T’s bike I knew how it would all end. That, and the religious imagery was kind of cheesy. But at the end of the day I take comfort in believing it was actually Vic Mackey on the run, looking for his family. Yeah, I liked that it was Vic Mackey killing the main character of a show that was trying to be as good as The Shield. I think especially considering where the show had fallen to in quality the past few seasons, the finale was alright. A lot of things I wanted to happen, I got. Nero and Wendy got away safe (the only two characters I still really liked). Chibs is pres. Jax at least realized how much he messed up with his family and he ended up dead. So those things are good, though there was some terrible execution in seeing these come about most notably with Jax. Everything about the final scene was horrible. The CG, the police, Chiklis’ character being involved for some reason and the religious imagery. Well you already summed that up well. It was just so bad. I also thought some of the silly fakeouts like Jax stating he is ready for Mayhem when he was clearly ready for Happy to get shot in the arm were bad too. Not that I thought he would die there, but they were trying to hard to hide it and it came off as bad writing to me. I didn’t care for him just walking around killing people either (the Marx one was especially ridiculous) though I guess things like that are part of the show’s DNA just like montages at this point. Oh well. I really liked it early on. I wish as you put it someone was there to rein in Sutter or the show had ended earlier. Great job with the reviews. It was interesting reading you write about something you didn’t care for as much as the stuff you cover weekly. Yeah, I agree about the Mayhem fakeout. Trying to wring tension out of it, but ultimately failing; speaks to quite a bit of the show in general.